Save time and never miss a business trip that could be claimed again! 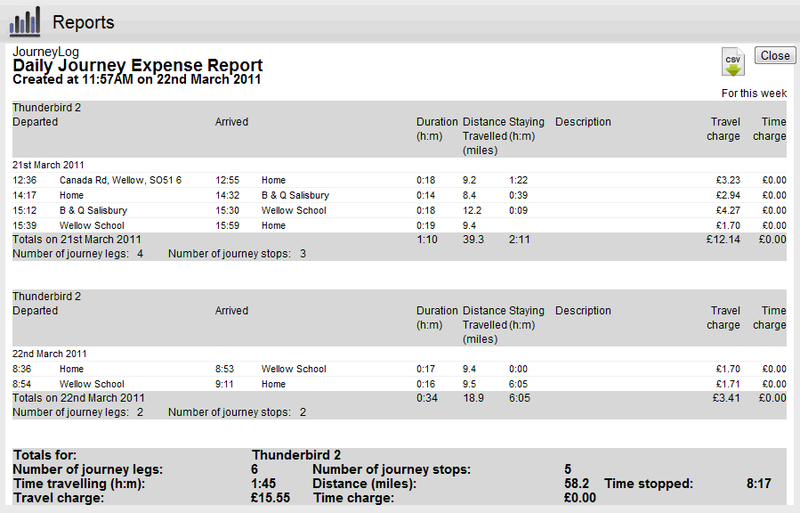 PhoneTrack will automatically start recording a new journey leg calculating the distance travelled. You can set the purpose of the journey, whether it's for business or private and set the rate reclaimed per mile. This is done in the Phonetrack app and can be changed later on the site to correct any mistakes. This report can then be printed or mailed and by selecting the csv option, downloaded into your company standard expense report. Unburden your load of heavy diaries or log books, with PhoneTrack all you need is your mobile.